The Wild West may have been many moons ago, but there is still a place that travelers can experience those long gone days. Dodge City, Kansas is one of the original cow towns in the Midwest and is home to the Boot Hill Museum. 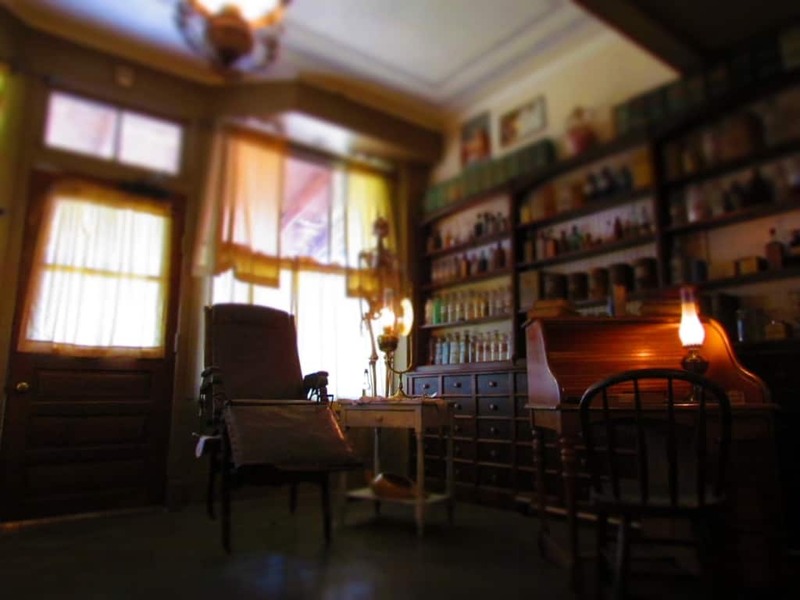 This living history space has a mix of static displays and live action, which help tell the story of the wild and wooly days, and the people who lived and died in the “Queen of the Cowtowns”. We visited the museum section to learn more about life in the Wild West. We want to thank the Dodge City CVB and Boot Hill Museum for their hospitality. Rest assured that all opinions are our own. Long before the cowboys began punching cattle through the area, the native indian tribes occupied this land. The area was perfect for the roaming tribes, which followed the buffalo. Rolling hills and seemingly endless prairie sustained them. The nomadic lifestyle of the Kiowa, Comanche, Arapaho, and Cheyenne continued for many generations. This would change with the arrival of the new settlers who were bent on turning the region into farming and ranching land. The indians saw this threat to there lifestyle and fought back with marauding attacks. In 1865, Fort Dodge was established to help fend off some of these attacks. This allowed travelers along the Santa Fe Trail to use a shorter, and more direct route, which crossed close to present day Dodge City. In 1872, just a year after Dodge City was established, George Hoover arrived with a wagon full of whiskey barrels. He set up shop with sod pillars supporting a wooden plank inside a tent. From that moment on, Dodge City’s history was tied to the golden nectar from oak barrels. Shortly after, the railroad arrived, and the town exploded with growth spurred on by the newly formed cattle trade. While the Texas longhorns were driven through easterly towns like Baxter Springs and Abilene, the spread of a disease caused by ticks forced the drives westward to Dodge City. A boomtown can be an exciting, yet dangerous place, especially when it is bereft of lawmen. Buffalo hunters arrived to help cull the vast herds. Nearby, an almost endless line of wagon trains traveled the Santa Fe Trail. There was money to be made in Dodge City, but there was also plenty of risks. Cowboys became a constant sight, as they moved their herds north from Texas. After months on the trail, they were ready to cut loose for a spell. A variety of saloons and brothels sprang up to service their needs and take their hard earned pay. Buffalo hunters, soldiers, cowboys, and ruffians rubbed elbows in these establishments. With whiskey flowing freely, it was only a matter of time before tempers flared and lead flew. The popularity of Dodge City grew quickly overnight and saloons rushed to capitalize on the crowds by adding games of chance. Here fortunes were made and lost on a nightly basis. 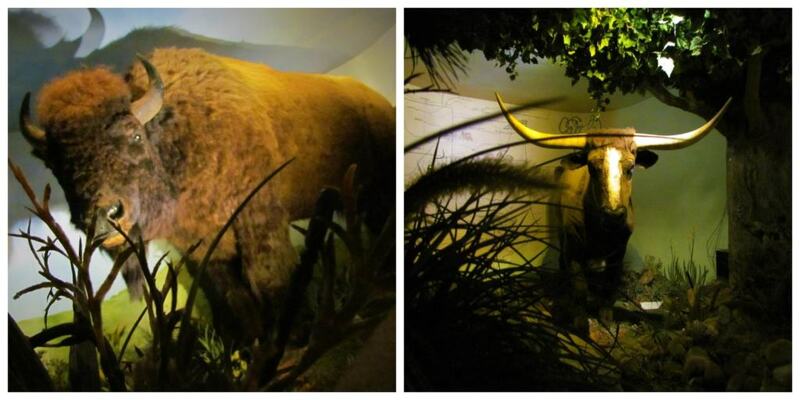 With the buffalo slaughtered, the focus was on the movement of longhorn cattle. By 1876, the cattle trade had moved to Dodge City, but the lawlessness did not diminish. Wyatt Earp was brought in to control this surge and drastic measures were engaged. A “Deadline” was originated that separated the north (quiet) side of the city from the south (rowdy) area. The railroad yards along Front Street was the dividing line. The Boot Hill Museum sits on the base of Boot Hill, but also has a section that includes part of the original cemetery. It was a little surreal to walk through an area we have heard so much about over our lifetimes. Most people are familiar with the name and the television show “Gunsmoke” helped memorialize it for multiple generations. 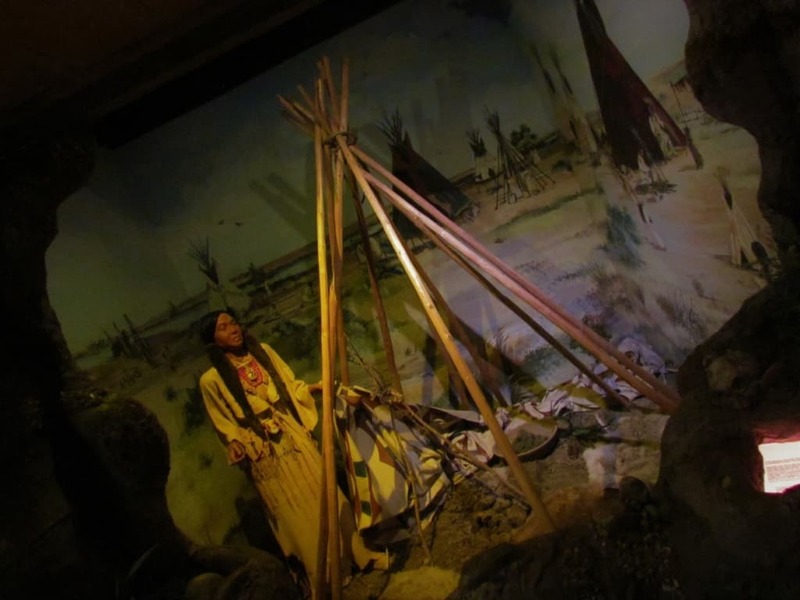 This section of the property is found on a small hill behind the People of the Plains portion of the museum, so be sure to catch it. In the 1870’s, Dodge City didn’t have a cemetery. Most people who expired were laid to rest in nearby Fort Dodge, but this would change as the increase in drifters increased. When someone died without funds for a decent burial, the locals would haul the body to this hill for interment. Since many who wound up here had died suddenly, they were often buried with their boots on. This is where the name originated. At the end of the 1870’s the land was deemed too valuable to be used as a cemetery. The bodies were moved to Prairie Grove, and eventually moved again to Maple Grove. 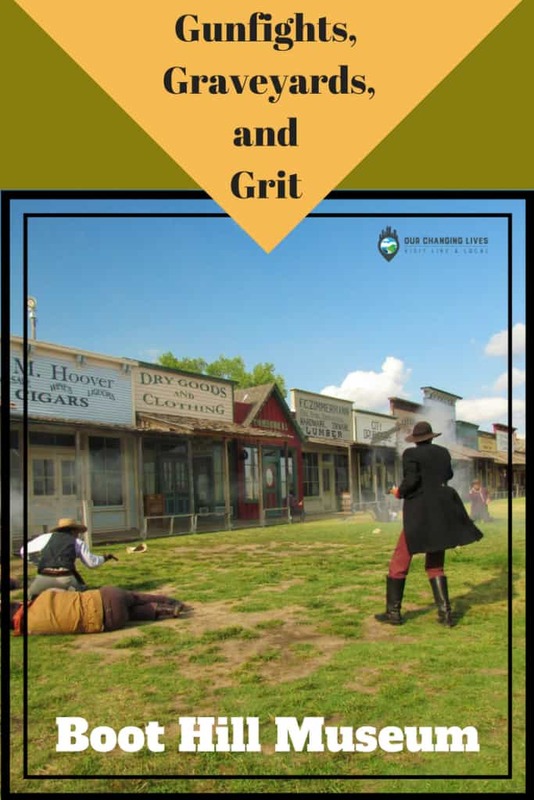 With the town split into two different atmospheres, the need for lawmen was apparent. Names that are synonymous with law and order were employed to keep the peace in Dodge City. Men such as Bat Masterson, Ed Masterson, Charlie Bassett, and Wyatt Earp pinned on the badge and cleared the streets. A decree was made that no sidearms would be worn in the northern (quiet) portion of the city, and this was strictly enforced. The wildness of the south side increased and by 1877, the town of 1700 people boasted 19 saloons. Dodge City was the cutting edge of the wild frontier and made even more notable by the exaggerated stories of newspapers. It did earn many of its stripes though, from being such a den of iniquities. The term “red light district” was coined in Dodge City from the railroad men carrying their red lanterns on their visits to the town’s brothels. In 1882, Fort Dodge closed, as the war with the regional Indian tribes had ended. Four years later, a horrendous blizzard spelled the end to the cattle drives. Times were changing in Dodge City, and it was time for it to paint a new future for the city. While certain businesses struggled to survive, others would flourish with this new reality. Many saloons and gambling establishments closed almost overnight to move west. Doctors, lawyers, and other business owners would find a foothold in the changing environment, and Dodge City reclaimed its southern region of the town. Farmers and ranchers became the landowners and the excitement of a frontier town subsided. Boot Hill Museum is filled with an assortment of displays that walk visitors through the timeline of the city’s development. An amazing number of artifacts are displayed in the multiple rooms that make up the museum. From the outside, Front Street looks like a simple facade, but stepping through the doors brings you into the series of spaces. You will want to reserve at least a couple of hours to see them, and even more if you want to dive into deeper research. Even with all of the changes that took place in Dodge City, the stories of its tumultuous past would remain. The daring escapades of the outlaws and lawmen would be heralded in dime store novels for years to come. Television shows and Hollywood movies would capitalize on Dodge City’s dubious history. While the phrase “Get the Heck out of Dodge” was coined for many decades, it has changed recently to better relate to the growing tourism industry in Dodge City. These days the phrase “Get the Heck into Dodge” is more appropriate, as visitors from all over the world travel to see this last vestige of the Wild West. 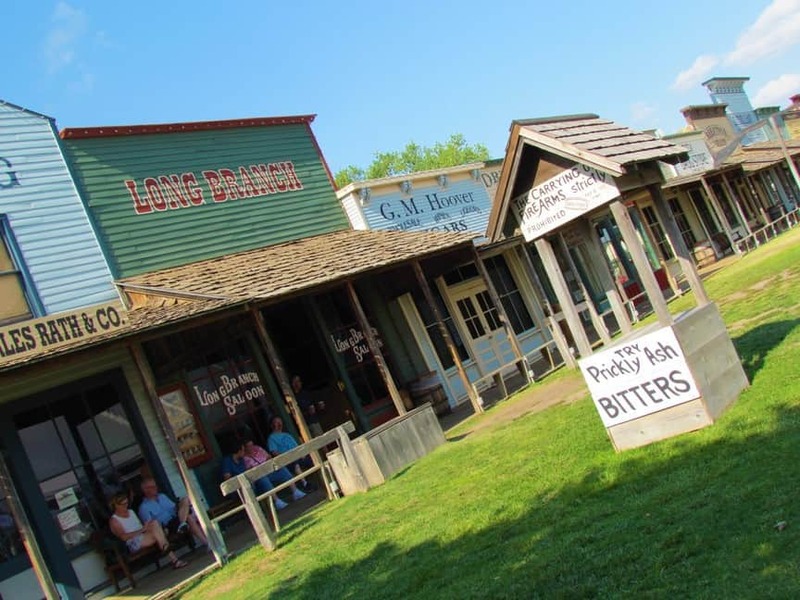 Isn’t it time you made your plans to visit Dodge City? Be sure to share this article with 4 of your western loving friends! OMG. Did I miss a lot. We passed by Dodge City once, from Pittsburg, Kansas back to Phoenix. We missed to visit this Museum that told a lot of the town! Love the longhorn statue in the middle of it all. Now you have a reason to stop back by! 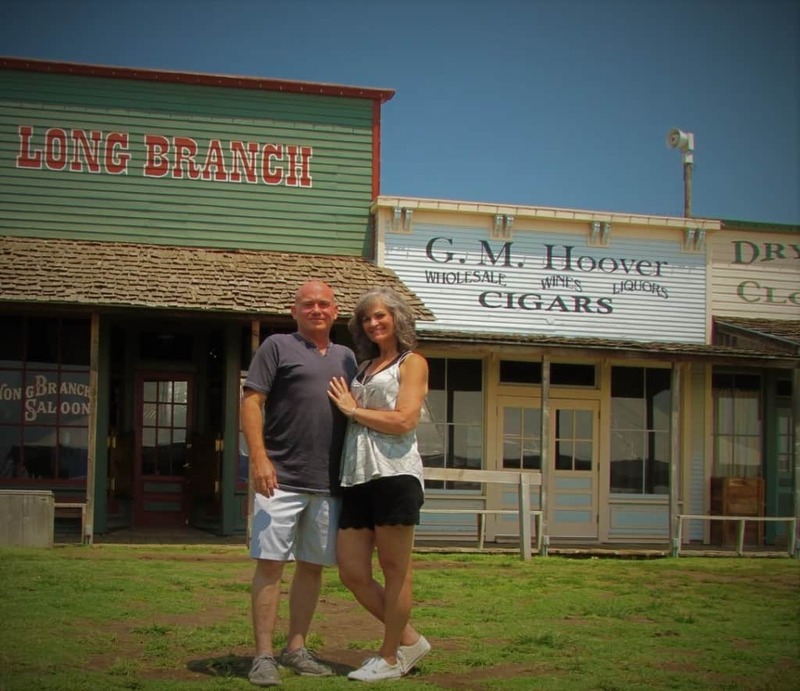 Thanks for the fun post about Dodge City and the Boot Hill Museum. Definitely looks like a great place to spend the day. You are quite welcome. Glad you enjoyed it. Hope you get to visit. Areas like this are always interesting because they’re so full of history and they let you imagine what it would be like to have lived then. Would love to check it out in person! So true. A person can imagine the excitement and danger of those bygone days. Hope you make it there someday. Love that Wild West environ. I hope to visit Dodge City and Boot Hill very soon. Hope you get to. It is truly a taste of the Wild West. I’ve always enjoyed visiting Boot Hills out here in California but have never been to Dodge City. I enjoyed this photo visit. 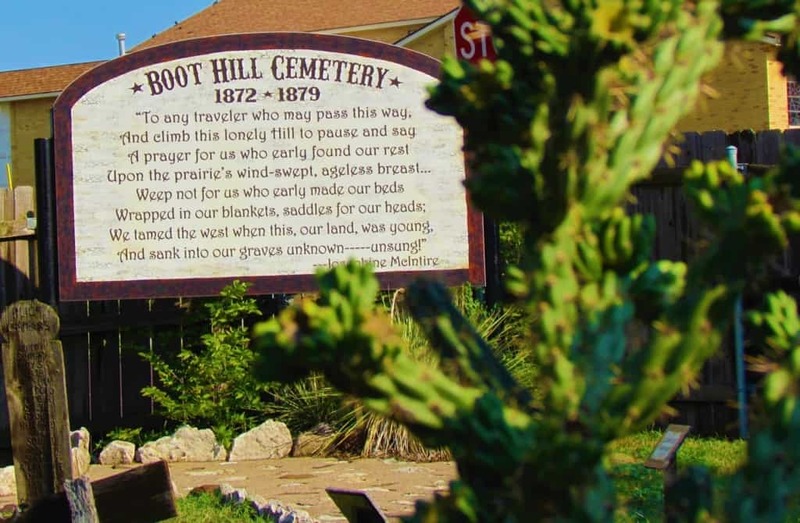 Perhaps some day you will get to visit the original Boot Hill in Dodge City. Thanks for checking out our site. I enjoyed your article, but your photos are fantastic! I really want to visit Dodge City now!! Thanks! We hope you get the opportunity. 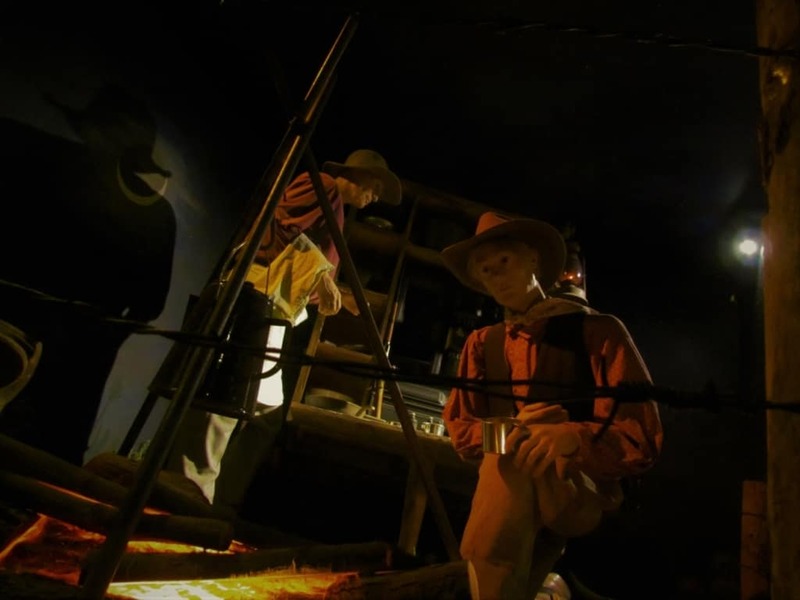 Your photos from the Boot Hill Museum are wonderfully atmospheric! You could spend several weeks just visiting these remnants of the “wild west”: places like Tombstone, Arizona and Deadwood, South Dakota. One of my favorites is Bodie, California, which is east of Yosemite near the border with Nevada. 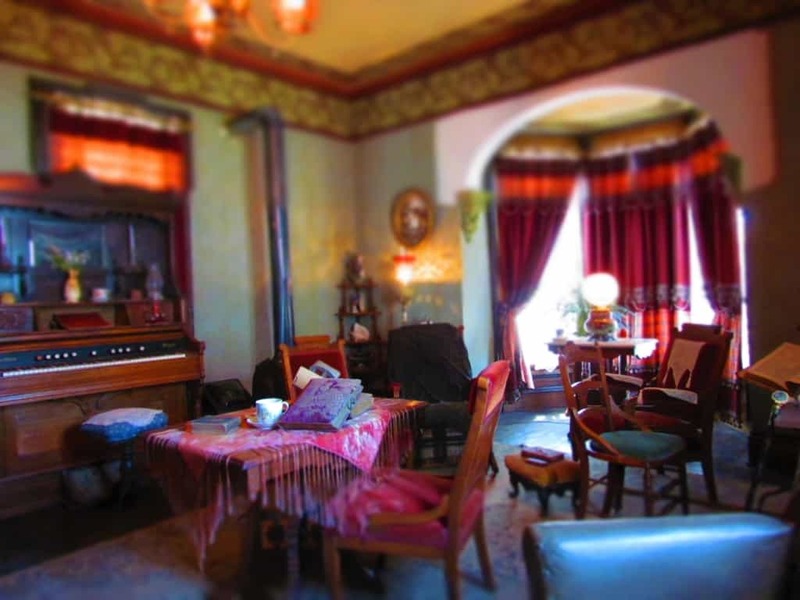 It’s an old mining town, but instead of restoring it or letting it fall to ruin, they keep it in a state of “arrested decay”.You can peer into the windows and see the old furniture and the wallpaper peeling off the walls. That sounds like an interesting adventure. We will have to check it out. Thanks for the tip.